"Surprise, surprise! We're having TWINS! Oh boy oh boy! #doubletrouble #threeundertwo," Edmonds wrote on Instagram Thursday alongside a photo of herself alongside Jim and their 1-year-old daughter Aspen. 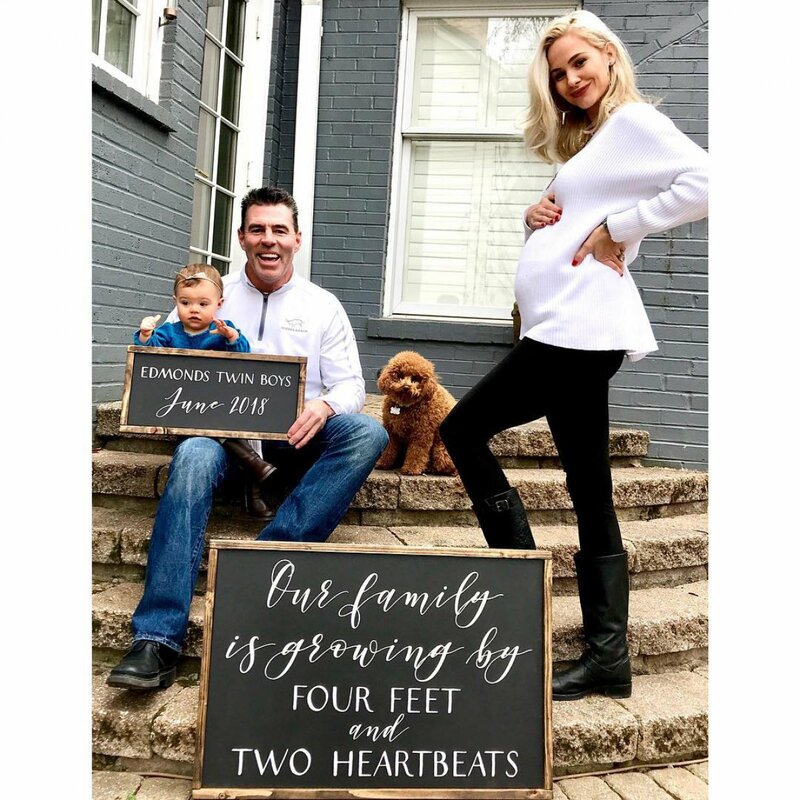 The photo features "The Real Housewives of Orange County" star showing off her baby bump while standing next to a sign that reads, "Our family is growing by four feet and two heartbeats." Edmonds, 33, first announced that she and Jim, 47, were were expecting another child in November. "Aspen is going to be a big sister!" she said at the time and referenced that she conceived via in vitro fertilization as she did with Aspen. "I felt like I handled this IVF much more in stride. I'm not sure if it's because I knew what to expect or if maybe my body was used to the hormones, but it was easier," Edmonds continued. "Fast forward to today and I am pregnant! I'm not feeling the greatest but we know that it will all be worth it in the end. Aspen will make a fabulous big sister at only a year-and-a-half old in June 2018!" Jim, a retired MLB star and Fox Sports Midwest broadcaster, is also a father to three other daughters and a son.